So we finally pulled our finger out and have now uploaded over 150 new pics from December. our new years resolution is to make sure we post them more regularly!!! Check out the photos link in the side bar. In other news...! 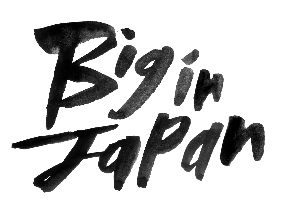 Only just over a MONTH til Erol takes his place behind the BIGINJAPAN decks. we're excited... have you got your ticket yet? HAPPY NEW YEAR + JANUARY LISTINGS! Well then... 2010 is finally here! We had an amazing New Years Eve at Dusk, and now we're preparing for an absoluely MASSIVE year... Less than 3 months til the living legend Erol hits the decks BIGINJAPAN style.. have you got your tickets yet? They're selling fast! Anyway, here are the listings for our January guests, poster and photos from the past few weeks are on the way! 21ST - 'BACK TO 1984 PARTY' WITH THE PLASTIC HEARTS!! 28TH - TNT DJS LEAVING PARTY!